Courtyard Fountains was constructed in two phases with the first phase completed in completed in 1996 and the second in 2001. 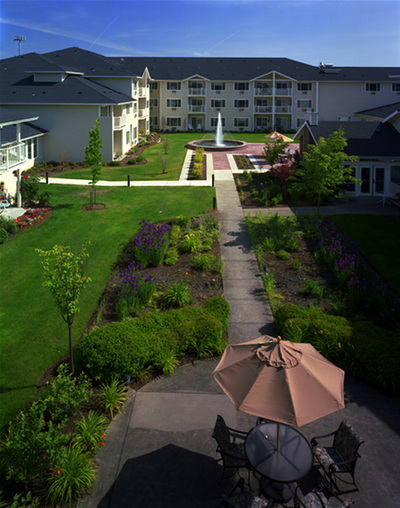 The first phase, which was awarded the Community Design Award by the City of Gresham, is a 74,246 square foot horseshoe-shaped building with 82 independent senior living units. 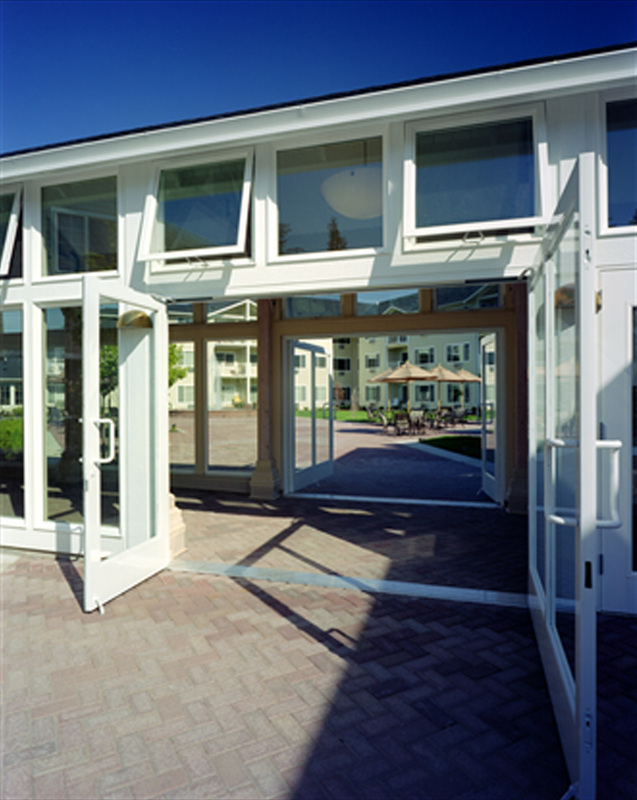 The second phase, which received the Grand Prize at the 2001 Gold Key Awards, houses 116 congregate care senior living units. The firm provided land-use planning, architectural, structural, and interior design services for this facility. Upon arrival, residents and guests enter into a vaulted lobby that is graced with a pass-through fireplace, which boasts a traditional mantle and granite surround. Two large wing chairs flank the fireplace offering a sense of comfort and home. 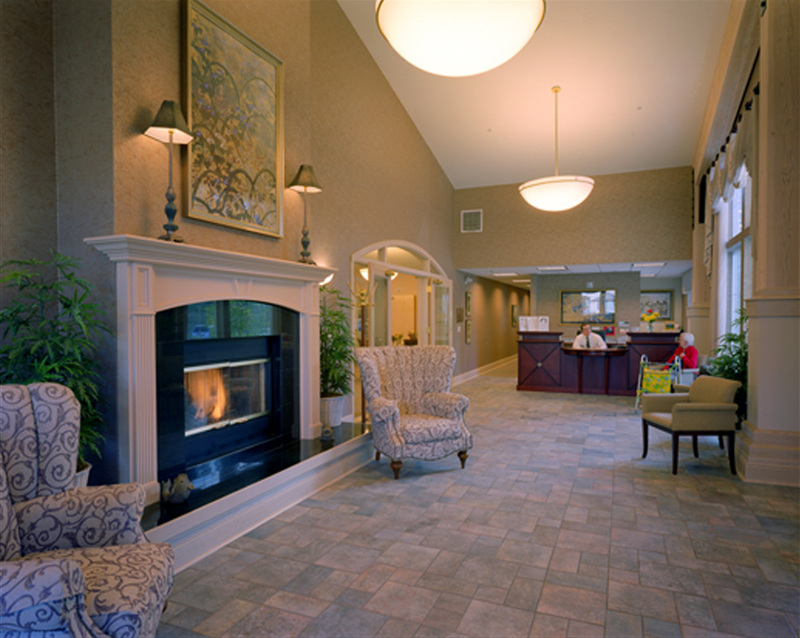 The lobby is narrow with the reception area at one end and lounge at the other. Both have views of the property's grand fountains. 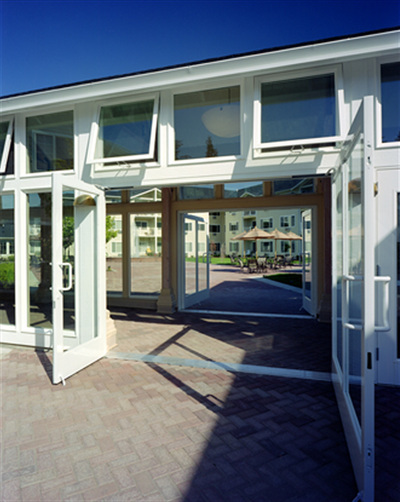 Large high windows allow the northern and eastern light to fill the space. Beyond the lobby is a grand dining room complete with a fireplace lounge and grand central staircase that connects the space to a second floor mezzanine. 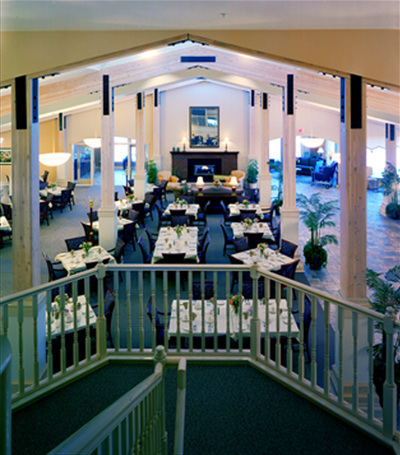 The dining area features large glulam columns and beams with a vaulted ceiling that peaks at 20'. 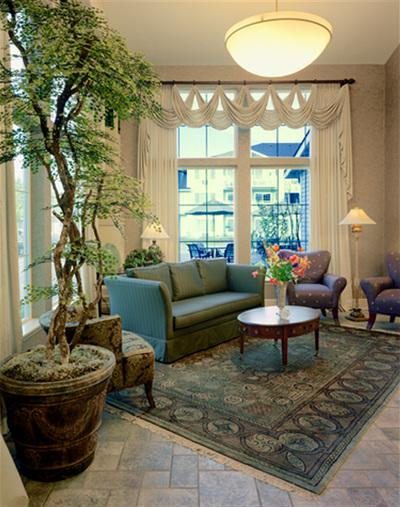 From the dining room, one has the option for more intimate surroundings in the lounge and living room. 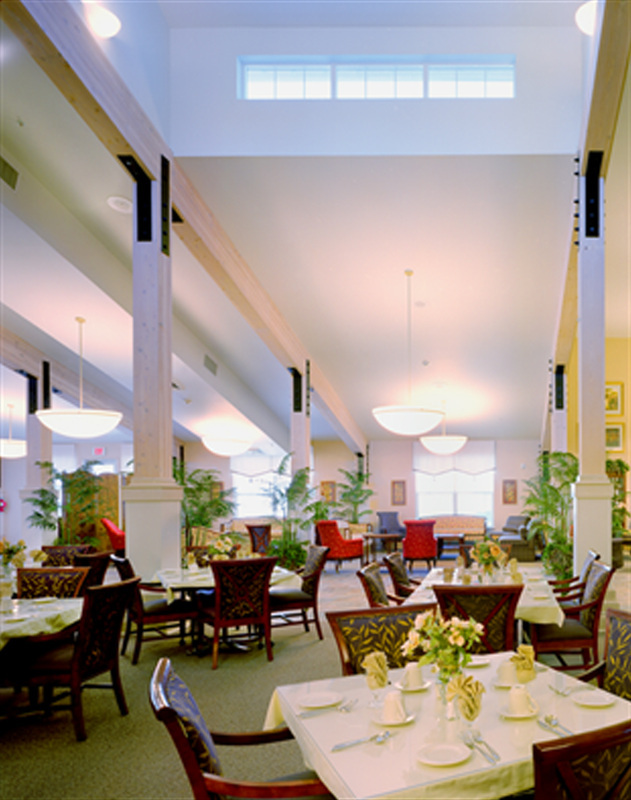 A tea room, decorated in traditional furnishings, runs the length of the east side of the space taking advantage of the courtyard views. 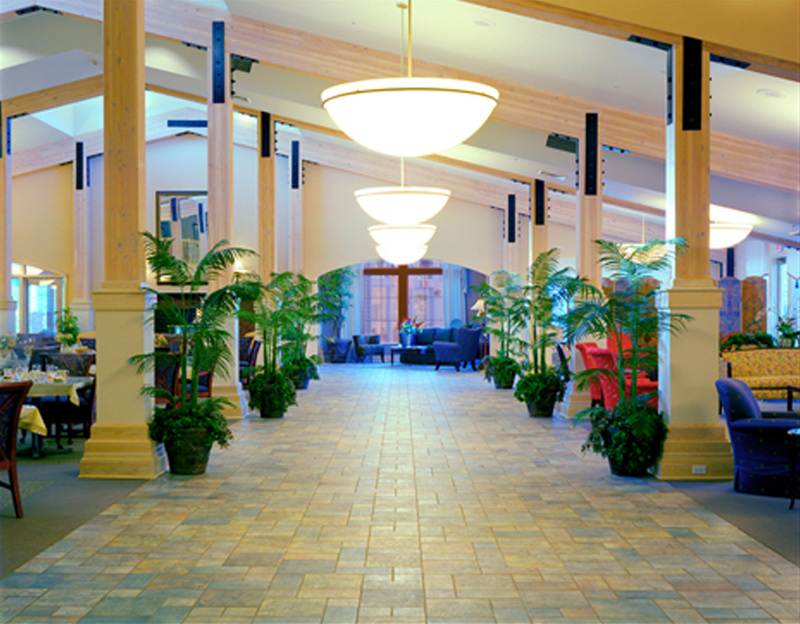 The second floor mezzanine provides a large activity area, fitness room and beauty shop, as well as a two-story library complete with Mt. Hood views. The two phases are connected by the use of two breezeways, which create a secure landscaped courtyard where residents can enjoy one of the property's two 20' fountains. 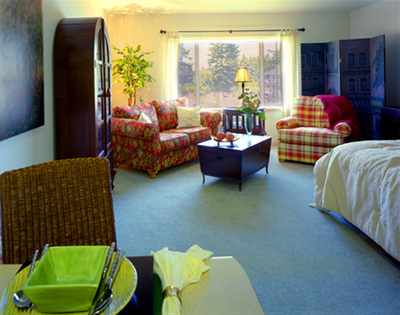 58 units overlook the brick plaza and fountains. Other units capture spectacular views of Mt. Hood.